The Samsung Galaxy S3 Mini is the smaller version of the 4.8-inch S3 model but with similar specs of the Galaxy S2, but good news is coming to those in the UK because a new S3 Mini refresh is about to release with NFC within. This new fresh version will release at the end of this month in the UK adding NFC technology that allows users to caress two phones together to transfer files etc. 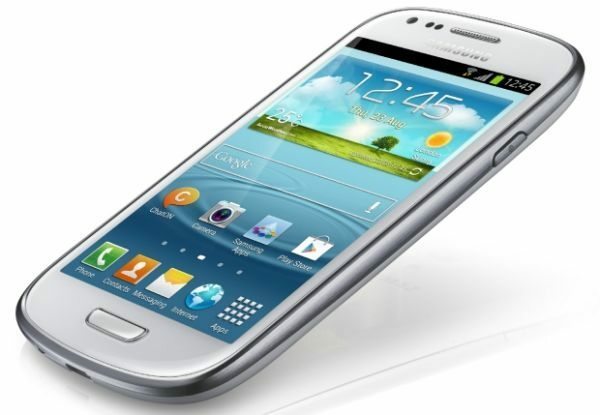 If you was planning on buying the Samsung S3 Mini we would suggest just sitting tight for another week or so because a new model with NFC will be released, thanks to this new model you will be able to use Samsung’s S Beam software to transfer files between the likes of the Galaxy Note 2 and the Galaxy S3. NFC is still up and coming and not yet reached mass market yet, but it is catching on. We still cannot understand why Samsung decided to call it the Galaxy S3 Mini, it only looks a little like the bigger boy and does not have the full s3 features one would like to expect. Why oh why Samsung did you not just add NFC in the first place? You can pick up the Samsung Galaxy S3 Mini at the moment for around Â£270, which is a little steep considering the specs. We do not know what price tag will be put on the new Samsung Galaxy S3 Mini NFC model, but as soon as we know we will notify our readers. We have a few questions for you; do you think there is any point releasing a new S3 Mini with NFC technology? If you are using NFC, how often do you use it? Would you use NFC for mobile payments? At the moment the main specs for the current Galaxy S3 Mini includes Android Jelly Bean, Wi-Fi, Bluetooth 4.0, 1GHz dual-core processor, 8GB or 16GB of internal storage, 5-megapixel camera and 4-inch 800×480 Super AMOLED display. I spent hours researching the Samsung Galaxy S3 Mini. Back then, the comments and reviews that mentioned it said that it did have NFC. Even the Samsung website said that it had NFC at the time. To say that I feel let down is putting it mildly. Even now there is no availability and pricing for the 16Gb version. I would use it for payments. I did buy one, unfortunately.